RE: How will it help us? Once again a a letter rubbishing this rail project, and no name on the letter as usual. There will be no station at Verney Junction because there is hardly anyone living there but there will be a station at Winslow which is a central location for park and ride. Also Verney came into being because of the now closed branches to Buckingham and Quainton long since closed down. This rail link is a vital piece of railway for freight, inter regional passengers, plus commuters from Oxford Aylesbury High Wycombe to Milton Keynes. A service will run from Marylebone to Milton Keynes on an hourly basis plus you will be able to board a train at Winslow and go towards the Midlands or south to Oxford, Didcot and on to the west and Wales and of course Milton Keynes will give access to the north, Scotland etc surely this will be an asset to all these people stuck in traffic jams. As to the trees they have to be cut back as high winds can blow them onto tracks and cause accidents plus the leaves can delay trains when they fall on rails, I bet you complain when a train is delayed by this. This a national policy and aids the movement of millions of passengers. Railways are growing and it’s roads that are falling behind. Why sit in jams when you can travel in comfort but maybe the antis are happier in their Range Rovers and Audis? If so use them but plenty of others welcome the chance to go by train. And finally this project is worth every penny and it won’t put your rates up, only benefit millions. Do you want to stay in the past? There has been a great deal of publicity recently about Friars Club and its impact on the Aylesbury music scene. This is an appropriate time to put on record the immense contribution to the local music and entertainment scene made by ADOS (Aylesbury Dramatic and Operatic Society). ADOS didn’t just present shows, they promoted and encouraged local talent, and staged hundreds of performances over a time span of more than 75 years. Thousands of local children and adults were given the opportunity to perform on the stage for the first time. Some members of ADOS who first trod the boards at the Civic Centre became professional artists on the West End stage and Broadway. Local musicians formed the orchestras and bands for the shows. Children form Aylesbury dance schools took part, and the producers and choreographers were recruited locally. During the 35 years life of the Civic Centre, ADOS staged three shows every year, pantomimes, musicals and plays. Original scripts and songs were written for the pantomimes. The Old Time Group entertained at homes for the elderly and other venues, and raised money for charities. Behind the scenes members had the chance to try their hand as lighting and sound technicians. The basement of the Civic Centre was used for the storage of costumes, scenery and props, and many items were used by visiting acts to the Civic. Society members painted the scenery, and designed posters and programmes, and there was a wide range of original costumes designed and made by the creative wardrobe team. When ADOS disbanded in 2010 the costumes were sold to local societies and costume hire firms. There is an existing large mural celebrating Friars Club in the walkway leading from Bourbon Street to Friars Square shopping centre. The montage consists of images and posters of the groups who appeared at Friars, and it was unveiled by David Stopps in 2010. Regrettably there is no permanent record of the achievements of ADOS but many people still retain happy memories of their involvement with the society, and of having seen their shows. It would be great to alert people in Buckinghamshire to an amazing exhibition which is on at the Aylesbury County Museum. I love living in an area which is close to London for ease of access to exhibitions, but getting into the habit of always travelling to the city for your fix of culture can mean you sometimes miss out on local gems. ‘The work of the British Institute of Professional Photography’ exhibition does exactly what it says - it exhibits the work of some of the best photographers in the world and it does it right on our doorstep! The range is incredible from some very moving images from MOD photographers in Afghanistan through advertising images to very contemporary portraits. There were photographs from Chernobyl and Auschwitz which were very different to those usually seen and this made them far more powerful. I suspect people who are skilled photographers will find the technical aspects inspiring but for me it was a pure joy to be able to wander around the exhibition and just soak up the emotion and beauty of these photographs. I am lucky enough to work in Aylesbury and be able to call back in a lunch-break to just focus on a small part of the exhibition. It is one of those exhibitions that makes you feel privileged to have been able to see it. Ours is supposedly the oldest parliamentary democracy in the world, and we talk often of our British belief in fair play. Yet with the Trade Union Bill, this Government are putting these values at risk. We’ve already seen them make it harder to register to vote, soon they will redraw the Parliamentary map in a way that benefits the Conservative Party. Furthermore, hidden in the Trade Union Bill is a clause that is deliberately designed to cut off trade unions’ financial support for the Labour Party– while doing nothing to limit the hedge funds and millionaires that support the Tories. They’re attacking democracy by silencing opposition, whether it’s from unions, campaigners, or charities; and by changing the rules to make it harder for anyone else to win an election. As the House of Lords debate the Bill over the next weeks, I can only hope the Government will take the opportunity to embody the values of democracy and decency they claim to support, and drop these unfair proposals. This is a poem/song written by one of the elderly visitors, who is 94 years old, of our nursing home. He visits his wife of 91 years everyday and is a silent spectator to the daily happenings at our home. We have a few dementia patients who wander around the corridors and this poem is mainly about them. It has a good humour to it. And I spied an empty chair. - who was it sat just there? Where are Gloria and Jean? To find that they’re not there! It’s a puzzle I’ll agree. And, blow me, she’s gone again! It keeps them on their toes. “ who was that just went past me? That was Gloria I suppose”. How best can we confine them? Chorus - for the last time. 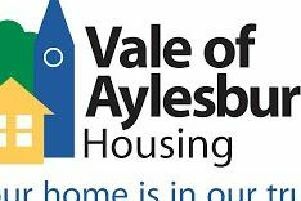 Many who were employees or associates of past Aylesbury company, New Holland, will have read the article in last weeks Bucks Herald about the forthcoming 30th and final annual reunion. If you are interested in attending our ‘brunch’ on March 20 or require further details, please contact Alan Drake on 07563 628247 or ard2000uk@yahoo.com. As I am your boss. And maybe, you’ll be, my Valentine. A heartfelt thank you to the people of Buckingham who came to my assistance last week when I tripped and fell awkwardly in Buckingham town centre. I tripped over a blown down pavement sign and had difficulty getting up. Various people rushed from a nearby cafe and lifted me and others passing through the mall helped me to my feet and checked if I was hurt or not. I thank you all for your help, concern and public spiritedness. RE: Pigeon mess from tree is ‘breaching human rights’. Why is it as humans we believe we are the upmost of superiority. The tree has probably been there a lot longer than some of us and birds as a species certainly have. It’s a tree, it provides us with oxygen and nature with a home. It’s a bit of bird poo, deal with it, it’s not that life affecting. Seriously, some people need to learn how to prioritise. RE: Southcourt ‘raw deal’ on pavements. Since the pavements were dug up a few years back to lay broadband cables, they have gradually got worse. It’s a bit like the pothole situation, once you dig a bit up you ‘pave’ the way for all kinds of extra work. Should just replace the lot to start with. Pavements across Aylesbury vary but generally they are full of barriers to independent movement by disabled people. It doesn’t have to be that way, as the Stoke Mandeville Way proves. No, Southcourt doesn’t get a raw deal, the whole of Aylesbury has pavement issues where there just are not the funds put aside to replace them, they barely manage the roads! I have a resident on Elmhurst who cannot use his mobility scooter to get into town because of the state of the paths, and despite constantly reporting the issues to Bucks CC it doesn’t get addressed. No its not just Southcourt who get a raw deal. We have been complaining about the appaling state of ours in Broughton for the past 10 years and nothing has ever been done apart from resurfacing in one small area and ‘patching’ in the rest which is a waste of money and unsatisfactory because it doesn’t improve the look of the area and neither does it last. The people with mobility scooters use the road because it’s ‘safer’!